The Cambridge Shutter Company provides the quality, service and attention to detail that you would expect from a local family run company. With a degree in 3D Interior design, CEO Rebecca Mason has over 25 years’ experience working as an Interior designer. 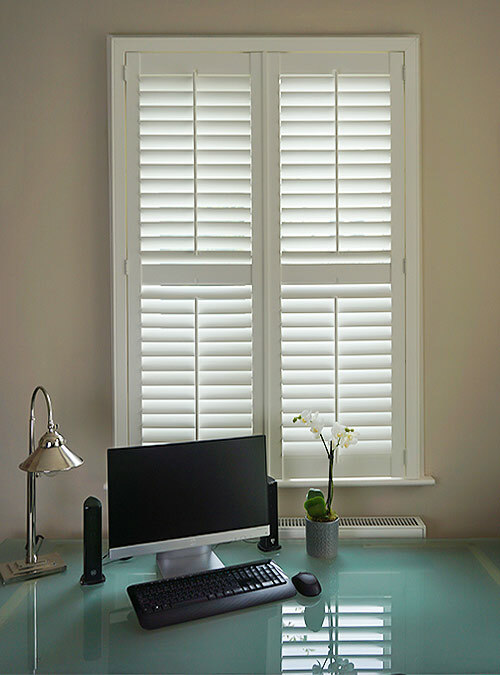 Her family started in the shutter industry back in 2006 and were the first company to specialise in plantation shutters in the North East of England, meaning that by the time she set up The Cambridge Shutter Company Ltd in 2011 she already knew the industry inside and out. As a designer she loves problem solving and coming up with creative solutions and has a particular eye for detail, from design to installation. “Our reputation means everything to us and as a company we strive to deliver the best design solution, quality installation and customer service possible so that our existing clients will feel happy to recommend us to all their family and friends too”. Appointments will last approximately an hour depending on how many windows you require shutters for. I will bring samples of the ranges and materials we use, along with photos of previous installations which can really help you to visualise how your shutters could look. There will undoubtedly be various design options available and I can offer my own extensive experience to help you decide what will work best for you. I will also take measurements of your windows so I can prepare an accurate quotation whilst I’m with you. Should you decide to proceed with your order, we can arrange another appointment to undertake a full survey. Our friendly in-house team of installers will take the utmost care when fitting your shutters and will strive to ensure that every detail is completed to the highest standard. Once completed, they will check over the shutters with you, demonstrating how to operate and clean your shutters before asking you to sign off the installation. You can expect any dust or mess they make to be cleaned up and all rubbish (packaging) removed from site on the day. Your shutters come with a standard 3 year manufacturers’ warranty and an extended 5 years’ installation guarantee. We take a 50% deposit at the point of order and the balance becomes due upon completion. Payments can be made by cheque, bank transfer or credit/debit card (at no additional cost). 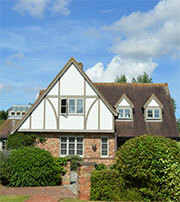 We are a supply partner to Potton, specialists in designing bespoke, self-build homes. They have a Self Build Show Centre in St Neots. You are welcome to visit the show centre to see our shutters first hand in the ‘Gransden’ house without the need for an appointment.